A1 recorded at D.N.A. Studios, Tel Aviv. AAAA1 recorded at Whirling Merkaba Studio, San Fransisco. "Live what you love every moment of your live... right now! wake up brothers and sisters, wake up! the time for change is now when the 100th monkey get's it we all get it this is the point global transformation the tigger of our evolution a quantum leap in conciousness know yourself... express yourself live your potential so let go brothers and sisters let go of your judgements let go of old ideas & beliefs let go of old habits let go of all attachments let go of everything let go... & Join the immortal dance of life all that you need is spirit and nothing". Amazing work of art. Complex deep and tribal. 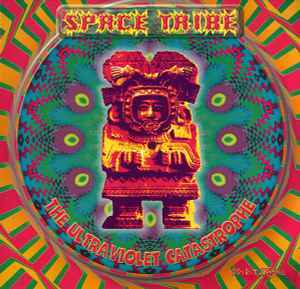 Standout for me in the world of classic Goa Trance. Thanks to Ollie Wisdom for creating this Goa master work. Easily one of my own favorites, every time I listen to it I feel like it was written especially for me (thank you so much Olli Wisdom!). Goa trance at it finest! + I find it quit funny how the records sides are numbered (A,AA,AAA,AAAA).